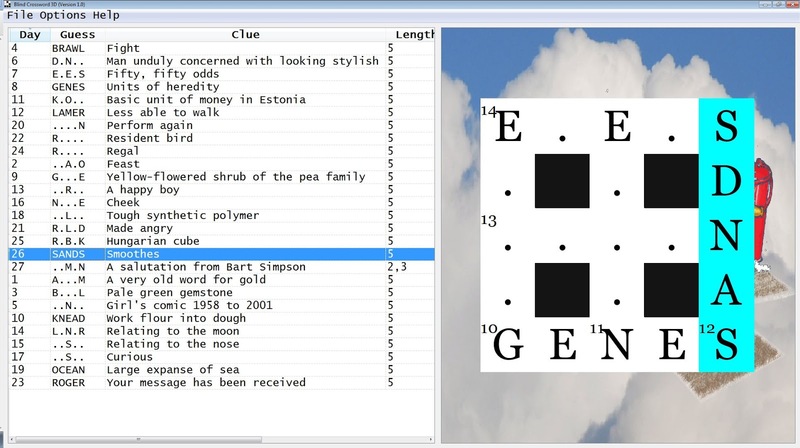 Back in August I posted about the 3D Crosswords for the Blind software I was working on. Now it's time for a proper release and the code is up on github, with build instructions, documentation and binaries. Windows (XP/Vista/7/8) Version 1.0 (December 2012) here: download. The program is completely voiced (using SAPI on Windows) and is written in portable C++. It is licensed under the GPLv3. Solvers with poor vision can zoom and pan about the graphical crossword grid to get a good view. The OSX version uses the NSSpeechSynthesizer text-to-speech interface for voicing. Solvers can print and email their answers. 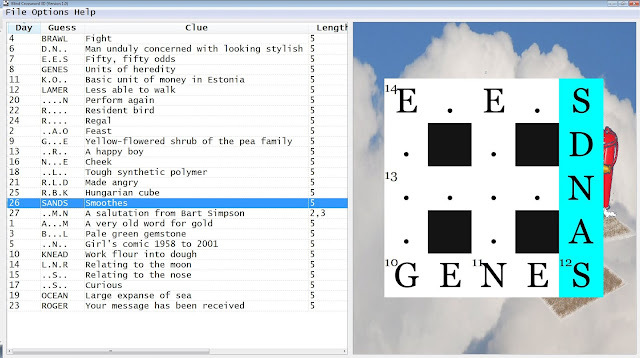 It's possible to check answers, sort and filter clues, and more. You can also print and email your answers off to be appraised by Eric Westbrook, the sponsor for this project and a partially blind crossword setter! There lots of features that can be added and improved to make it better! 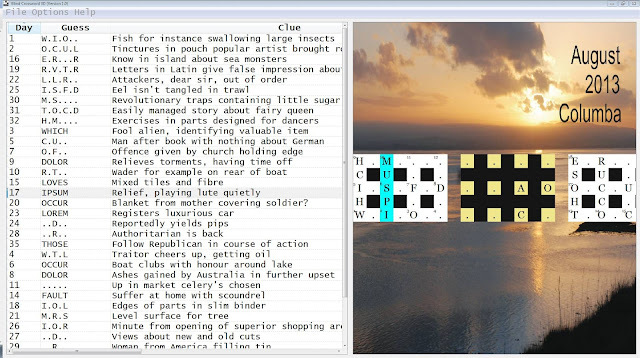 I am seeing about getting the software to load several 2D crossword formats as well as adding a number of other features through the coming year. If anybody reading this would like to help contribute or collaborate on this project then send me a message, it'd be great.